I have an 11 mo. old male GSD. 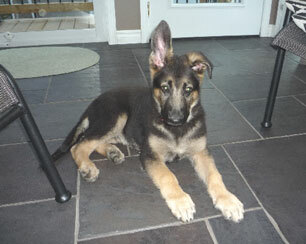 His right ear is up always, but the left one still is up and down. I tried taping with the foam roller inside, but the ear sagged anyway. The ear is up when he's playing, but droops when he's relaxed. Is there anything that can be done short of gluing? Is he doomed to have one floppy ear?